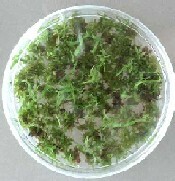 The major application of tissue culture techniques is for micropropagating disease-free material of new cultivars of sugar cane and potato. Regeneration of sugar cane plantlets from callus induced from young leaf rolls is also being used. In vitro plantlets of others crops including banana, pineapple, aloe vera and orchids are also produced on request. With the existing facilities, some 300 000 plantlets of different crops are produced annually. A range of PCR-based diagnostic tests are in routine use for diseases of sugar cane including Sugarcane yellow leaf virus, sugarcane yellows phytoplasma, leaf scald, and leaf streak virus. 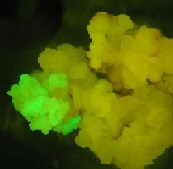 Real-Time RT-PCR has also been developed for Sugarcane yellow leaf virus. For potato viruses, a duplex RT-PCR test is applied for diagnosis of potato virus Y (PVY) and potato leaf roll virus (PLRV) in tubers, while a multiplex RT-PCR is used to diagnose potato virus M (PVM), potato virus S (PVS) and potato virus X (PVX) simultaneously in tubers. Investigation is underway to apply Real-Time RT-PCR assay for detection of the potato viruses. Molecular techniques that can be applied to the breeding and selection programme for the improvement of sugar cane varieties are being investigated. Our goal is to shorten the selection cycle. Efforts are presently focused on the identification of molecular markers associated with resistance to yellow spot disease as well as for early ripening varieties. DNA fingerprinting of cultivars, using microsatellite markers, are in progress. The microsatellite markers are also employed for genetic diversity studies of varieties and for parental identification of progeny derived from polycrosses. Using the biolistic particle delivery system we are transforming sugar cane varieties for herbicide and drought resistance. Embryogenic callus derived from young inflorescences and young leaf rolls are transformed.